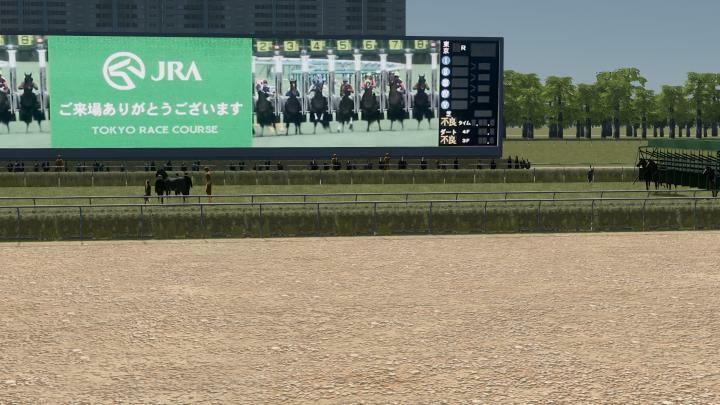 ■ Overview (Overview) This is Aurora Vision installed at JRA Tokyo Racecourse. It is registered with Guinness in the world’s largest 11.2m × 66.4m = 743.7m 2 that boasts the world’s largest. 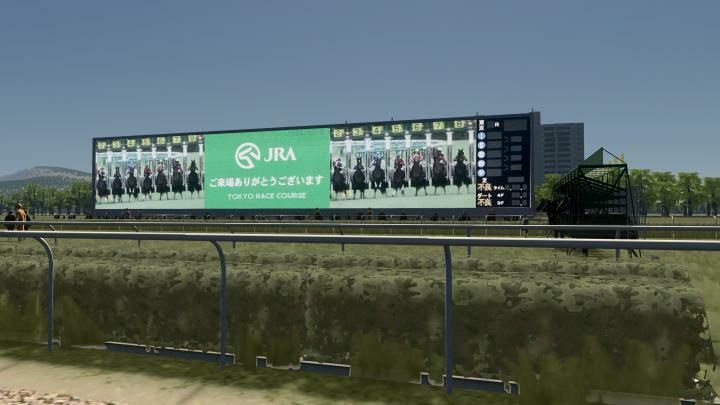 It is aurora vision established at JRA Tokyo Racecourse.It is registered in Guinness at 11.2 m in length and 66.4 m in width (743.7 m 2), boasting the largest in the world. 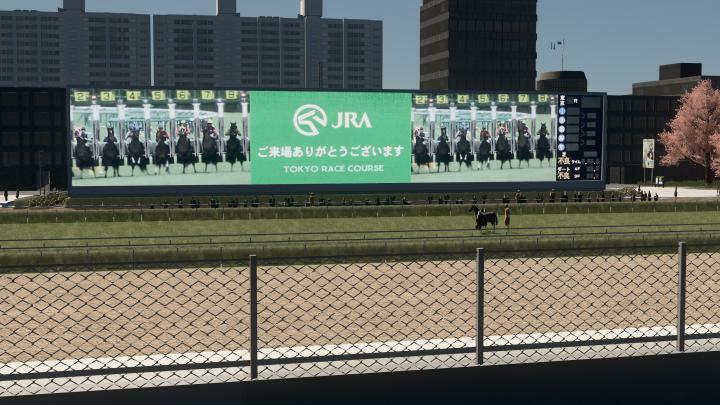 As a result, this vision will do everything to introduce race horses and races. It is good to install near the goal post. On the other side of the Aurora Vision, it is designed by Mr. Ogawa, who was drawn until 2016. The atmosphere is created by decorating it with a cooling tower that cools the vision, and flower beds and lounge chairs around it. This vision will display all the odds, photograph judgment, race result, introduction of race name. It is recommended Installation near the goal post. Behind the aurora vision is the design of “Ogawa Jyuri” which was drawn up until 2016. 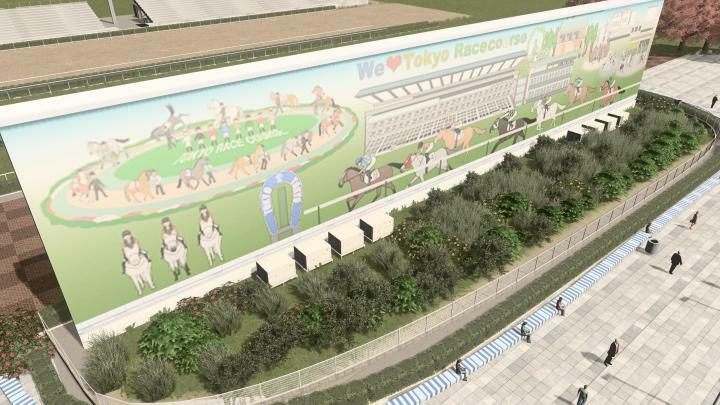 There were various assets of the racetrack, but I created it because I could not find the vision vision for the cooling tower to cool the vision and flower beds and chaise lounges in the surroundings, you can feel the atmosphere. I wondered if I would like to make the fun version that Japan World Cup’s Haribote Elegy displayed, but sometimes I’m seriously making it in a general type. 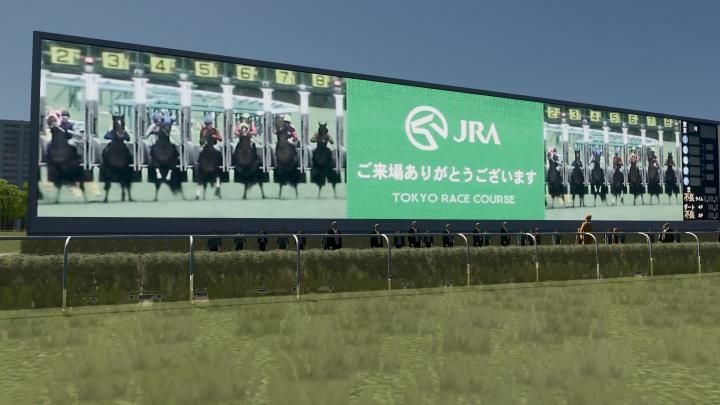 There are various assets at the racecourse, but I created it because I could not find Turf Vision. I thought about making a playful version displayed by “Haribotte Elegy” from the Japan World Cup, but I occasionally created it with a common type.